On 7th March we held our AGM. Most of the committee agreed to stand again and were thanked by the chairman for another successful year. Following the reports, we enjoyed a multi-sectioned quiz devised by Gloria Harmer. On Monday 4th April at 7.30 pm we will be having a talk entitled “Birds of Prey” accompanied by some special guests. 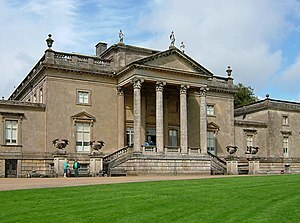 We are hoping to take a trip to Stourhead on Saturday, 25th June. Stourhead is a beautiful National Trust house and gardens. Anyone interested please contact Mike on 827807 or Arthur. Open to non-members.